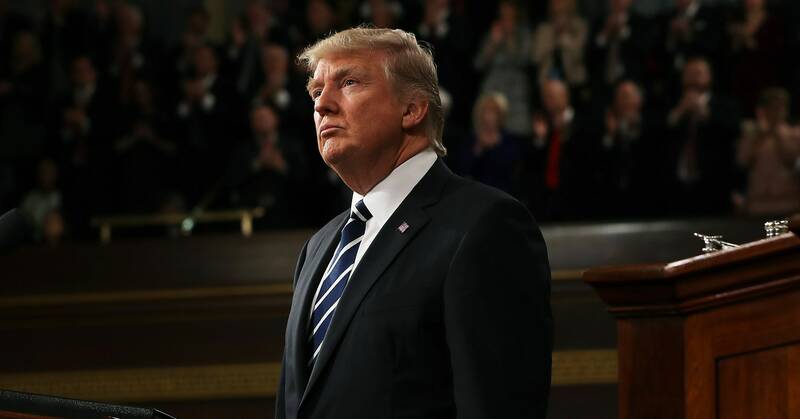 In his State of the Union address Tuesday, President Trump promised legislation to invest in “the cutting edge industries of the future.” But the speech was characteristically backward-looking. Trump talked up gains in manufacturing jobs and oil and gas exports, but didn’t once mention the word “technology,” nor any other tech policy issue, such as privacy, broadband, or antitrust. Aides filled in the blanks. “President Trump’s commitment to American leadership in artificial intelligence, 5G wireless, quantum science, and advanced manufacturing will ensure that these technologies serve to benefit the American people and that the American innovation ecosystem remains the envy of the world for generations to come,” Michael Kratsios, deputy assistant to the president for technology policy, said in a statement. Still, some of the administration’s other signature policy positions, such as the trade war with China and its hardline position on immigration, may be holding back progress in these areas. Of these issues, the Trump administration has perhaps been most active on 5G, an umbrella term for “next generation” wireless technologies and standards that could one day enable download speeds of up to 10GB on your phone, or around 10 times the speed of Google Fiber’s standard home service. We’re still a long way from seeing those types of speeds in reality, even as carriers begin offering “5G” branded services in a few cities. The Trump administration sees the race to 5G as a national security issue, as much as an economic issue. The US has long feared that Chinese telco giant Huawei could plant “backdoors” in its equipment that the Chinese government could use to spy on US citizens. US carriers like AT&T and Verizon are effectively banned from using Huawei gear in their networks; but the Trump administration fears that if China gets a leg up on 5G, there will be few if any alternatives to Huawei and other Chinese vendors to build the next generation wireless networks. That led to the unusual decision to block Singapore-based chipmaker Broadcom from buying US wireless chip giant Qualcomm, even though Broadcom offered to relocate to the US. Trump signed a memo last year calling for a national strategy to allocate more spectrum to 5G, but it was short on specifics. In 2017, Senators Cory Gardner (R-Colorado) and Maggie Hassan (D-New Hampshire) introduced a more detailed plan called the Airwaves Act, which identifies several ranges of spectrum frequency that could be repurposed and auctioned off several years. The bill was reintroduced in the House last year but has yet to see a vote in either chamber. For example, the FCC repealed its Obama-era net neutrality protections, which banned broadband providers from blocking, throttling, or otherwise discriminating against lawful content. FCC Chair Ajit Pai argued, despite ample evidence to the contrary, that the change was necessary, in part, because the rules deterred investment in broadband infrastructure. A real national broadband policy needs to serve the needs of the public, not just the carriers. “The problem is that the wireless industry is very good at using this hype to blow through any sort of regulatory oversight that’s designed to protect consumers, and to ignore the problem of rural broadband,” says Harold Feld of the consumer group Public Knowledge. Without oversight, Feld says, the industry might not deploy the fastest 5G technologies in places they consider less profitable, like low-income areas. Regulators would do well to keep that in mind when considering T-Mobile’s proposed acquisition of Sprint. The companies say the merger would enable them to build 5G networks faster. But it would also reduce competition for wireless services, and could lead to higher prices. Meanwhile, there’s more the government could do to help the US stay competitive in 5G. Building 5G networks will be expensive. One of the main technologies that carriers hope to use takes advantage of what’s called “millimeter wave” spectrum. Using this part of the spectrum could enable the mind-boggling speeds 5G boosters promise, but blanketing cities and towns with millimeter wave signals would require a huge number of cellular towers. These could be as small as smoke detectors, but just like your home WiFi router, these “micro-cells” will need wired connections to the internet. That will mean a big investment in fiber-optic networks that hardly anyone is talking about. Last year, leaked documents revealed a proposal for the government to build a 5G network to complement commercial networks. The idea was widely panned across the political spectrum, and the White House denied that the idea was ever seriously considered. But, as Harvard Law professor Susan Crawford wrote for WIRED last year, a national program to build more fiber optic networks isn’t a crazy idea. Although Trump didn’t mention the technology specifically Tuesday night, the White House had already signalled it would take a stronger interest in artificial technology in 2019. The OSTP statement released Tuesday name-checked AI but didn’t offer any specifics on what new support Trump might offer people or companies working on the technology. In its limited AI engagement so far, the administration has portrayed AI primarily as a way to exert dominance over other nations. The Pentagon has established a Joint AI Center to speed adoption of the technology by US forces. A one-day White House summit on AI last year focused on how it gives the US an economic advantage. And the Department of Commerce is considering whether to use arms-control rules to restrict US companies from exporting some AI technologies, in areas such as image recognition or machine translation. Talent is also an area of concern for quantum computing, another emerging technology in which the US has a lead Trump says he wants to maintain. In December, he signed a bill that authorizes more than $1.2 billion of spending in support of quantum R&D and talent development over five years. But new funds have not yet been appropriated for the program. Backers of the bill like Chris Monroe, a professor at the University of Maryland and CEO of quantum computing startup IonQ, say that Trump’s immigration policies are undermining efforts to expand America’s pool of quantum engineers. “The scientific community is aligned on that we want to keep these people here, and encourage more people to come,” he says. As expected, Trump talked up his dream of a border wall. But he had nothing to say about attracting the sort of talent the US will need to lead in the cutting edge industries of the future. Let’s hope the actual legislation has more substance.